If a person has certain difficulties in breathing, very pale skin, cold feet and hands, feeling fatigued, then the amount of red blood cells may be insufficient. This is a type of condition known as anemia, which can result from a variety of causes. If it is confirmed by the physician that a patient has low red blood cell count, a type of blood test which is the Coombs test can be ordered in order to determine that kind of anemia present. 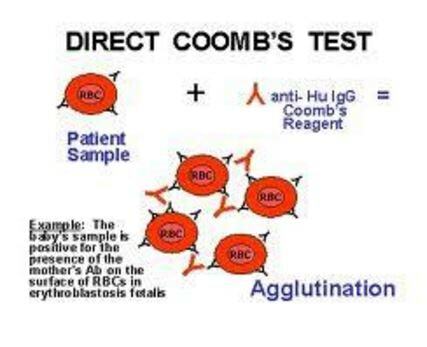 The main purpose of the Coombs test is to evaluate the blood if it contains some antibodies. Antibodies are immune system proteins that are responsible for detecting certain substances that is considered harmful to a person’s health. These antibodies will attack and destroy the invader. If the detection of the immune system goes wrong, it will produce antibodies that do not destroy the harmful invader. As a result, it can lead to numerous types of health problems. The Coombs test will also help the physician in determining if the person has antibodies in the bloodstream that are causing the immune system to attack and destroy the person’s own red blood cells. In this case, if the red blood cells are being damaged, it could result to a condition known as hemolytic anemia. Direct Coombs test – This type of test is more common. It can detect antibodies that are attached to the exterior of the red blood cells. Indirect Coombs test – This test is by the assessment of the sample liquid part of the blood or the serum. It can bind to some red blood cells and detect certain antibodies in the bloodstream which could become a problem if blood mixing occurs. A sample of the blood will first be needed to begin with the test. The blood is tested together with certain compounds that would react with antibodies in the blood. The sample of blood is taken through “venipuncture” wherein a needle is inserted directly into a vein in the hand or arm. The needle obtains a small quantity of blood from a specific vein and then being stored in a test tube. The test is frequently performed on infants who might have antibodies in their bloodstream due to a blood type incompatibility with their mother. To do this procedure in an infant, the skin is punctured with a small and sharp needle called a lancet, typically on the heel of the foot. After that, blood is accumulated into a test strip, small glass tube, or on a glass slide. No antibodies are detected. This is known as a negative test result. Direct Coombs test – A negative test result indicates that the blood does not contain antibodies that are having an attachment to the body’s red blood cells. Indirect Coombs test – A negative test result signifies that the blood is well matched with the blood that is about to be received through transfusion. These are antibodies that attack the red blood cells. This is known as a positive test result. It is considered an abnormal result if clumping of red blood cells is present during the test. 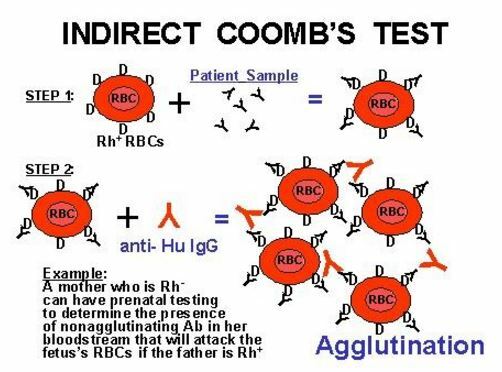 Clumping or agglutination of the blood cells during this type of Coombs test indicates that a person has antibodies on the red blood cells and that there is an existing condition known as hemolysis, which leads to the destruction of red blood cells caused by the immune system. There might be some conditions that can also cause an individual to have the antibodies on red blood cells such as autoimmune hemolytic anemia, chronic lymphocytic leukemia, and many others. Occasionally, a Coombs test will sustain an abnormal result without any risk factors or any other diseases, most especially in older adults. A positive result in an indirect Coombs test denotes that a person have antibodies being circulated in the bloodstream that can trigger a certain reaction from the immune system. The antibodies will respond to any red blood cells that are contemplated as foreign to the body, specifically those that might be present during the transfusion of blood. 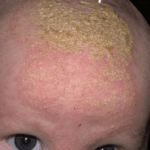 Depending on the age and situation, this may indicate that an infant and mother have blood incompatibility, different blood types (erythroblastosis fetalis), or hemolytic anemia caused by drug toxicity or an autoimmune reaction. Babies with erythroblastosis fetalis might have very high levels of bilirubin in the blood that could lead to jaundice. This type of condition must be carefully observed since it could be life-threatening for both the child and mother. A pregnant woman is frequently given an indirect Coombs test in order to check for any antibodies that may be present during prenatal care, before labor. L L (2012). Hemolytic Anemias and Anemia Due to Acute Blood Loss. Longo DL FA, Kasper DL, Hauser SL, Jameson JL, Loscalzo J, ed. Harrison’s Principles of Internal Medicine. 18th ed. New York: McGraw-Hill. Elghetany MT, Banki K (2011). Erythrocytic disorders. In: McPherson RA, Pincus MR, eds. Elghetany MT, Banki K. Erythrocytic disorders. In: McPherson RA, Pincus MR, eds. Henry’s Clinical Diagnosis and Management by Laboratory Methods. 22nd ed. Philadelphia, Pa: Elsevier Saunders; chap 32. Zarandona JM, Yazer MH (2006 Jan 31). The role of the Coombs test in evaluating hemolysis in adults. CMAJ. 174(3):305-7.